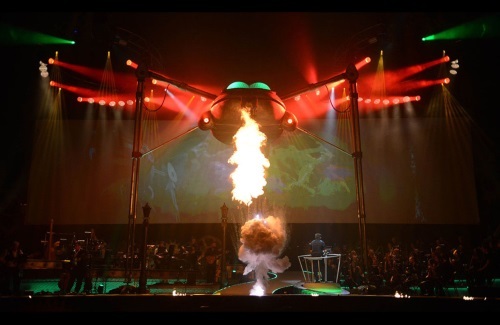 When I was asked to mix monitors for the most recent tour of the iconic musical version of “The War of the Worlds,” I said yes straight away. Listening to the double album, I felt that this skillfully arranged fusion of prog rock, classical and theatre was going to be a treat to recreate in a live environment. 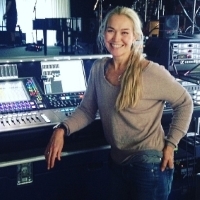 I could also see that I had my work cut out; with 168 inputs from a nine-piece band, eight guest artists and a 36-piece orchestra – not to mention all the surround sound elements and special effects – there was a lot of creative information going on. In addition, I would be mixing monitors for everyone on stage as well as for composer Jeff Wayne – 24 mixes in total. Having recently demoed a KLANG:technologies 3D in-ear monitoring (IEM) system on another tour, I knew exactly where I wanted to take Jeff’s mix. This is a musical extravaganza, a feast for the senses intended to be heard as an entire auditory immersion, and for the first time it wasn’t just front of house engineers who had the tools to give the listener the surround experience; Klang gave me a way to deliver it via IEM. One of the most masterful qualities of “The War of the Worlds” album is that although there are so many sound sources, it never sounds busy or crowded – like all the best-produced pieces, the music is not just the notes but the spaces between the notes. I felt that the Klang 3D environment would give me the auditory space to stay true to this value. It worked brilliantly – rather than inputs fighting for audio real estate in the confines of a stereo mix, I was able to recreate what Jeff wanted to hear without it ever feeling crowded. With that challenge elegantly handled by Klang, I imagined the rest of the process would be pretty much business as usual. However, there were other circumstances ahead that would require me to learn new ways of working. 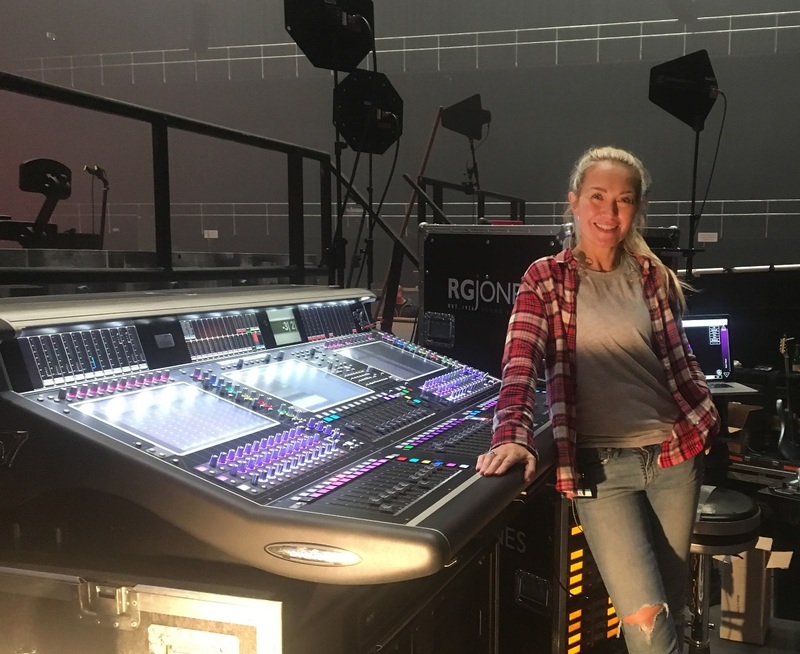 The author at the DiGiCo SD7 console where she became quite familiar with working with timecode. Coming from a rock/pop background, I’m used to songs that last just a few minutes. On a typical tour I’ll get a master mix going for each person to make sure we’re consistent with levels throughout the set, then make a snapshot per song for subtle mix tweaks and muting unused inputs, which I fire manually. But the classical/theatrical nature of this production offered up some challenges that meant I’d have to both embrace timecode and learn to read music.